Jane Michaels - Mediator & Arbitrator based in Denver, Colorado. Please click your preferred available date to submit a request. Your Appointment Form will be sent to Jane 's assistant, Wendy Bray. 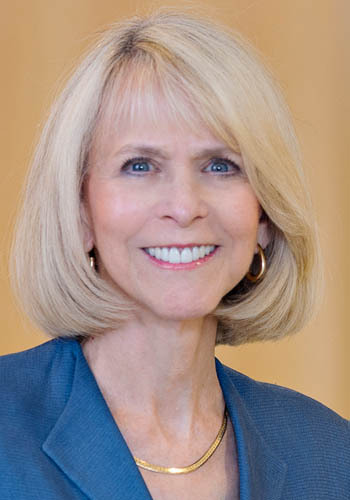 ADR Experience: Jane Michaels has served as a mediator and arbitrator for 28 years. She has handled hundreds of mediations and arbitrations in her career, covering a wide range of industries and substantive areas of the law. Jane is a Fellow of the College of Commercial Arbitrators and is certified by the American Arbitration Association (AAA) as a mediator and arbitrator. She serves on the AAA's Complex Commercial Arbitration and Mediation panels and has also arbitrated cases for the International Centre for Dispute Resolution. Jane is keenly aware that the escalating costs of protracted litigation, particularly during the discovery process, impact an organizations's bottom line and business goals. As an arbitrator, Jane's approach to arbitration maximizes fairness, flexibility and cost-effectiveness. She provides counsel an opportunity to exercise some control over the arbitration process by helping them develop customized procedures for the hearing on the merits of their case. Parties appreciate Jane's ability to decide their disputes fairly, efficiently, and in a timely manner. As a mediator, Jane plays an active role in a highly interactive process to facilitate settlement. Parties involved in mediation appreciate Jane's experience in assessing the strengths and weaknesses of their case, as well as her exceptional listening skills, flexibility, creativity, and perseverence in guiding them to a mutually satisfactory resolution of their dispute. Litigation Expertise: Throughout her career as a trial lawyer, Jane represented clients in complex business, intellectual property, and technology disputes in courtrooms, mediations, and arbitrations around the country. As a trial lawyer, her practice focused on commercial and IP cases involving breach of contract, misappropriation of trade secrets, defective software disputes, business torts, royalty disputes, partnership disputes, franchise disputes, licensing disputes, business dissolutions and valuations, covenants not to compete, unfair competition, as well as patent, trademark, and copyright litigation. Her experience spans a wide variety of industries, including telecommunications, computer/electronics, Internet, biotech, pharmaceutical, publishing, manufacturing, financial services, franchising, medical devices, retail, sports, entertainment, health insurance, real estate, and oil and gas. She has handled every facet of a case, from assessing the merits of claims and defenses through discovery, depositions, motions, trials, and settlement negotiations. She was inducted as a Fellow of the American College of Trial Lawyers, the International Society of Barristers, and the International Academy of Trial Lawyers.